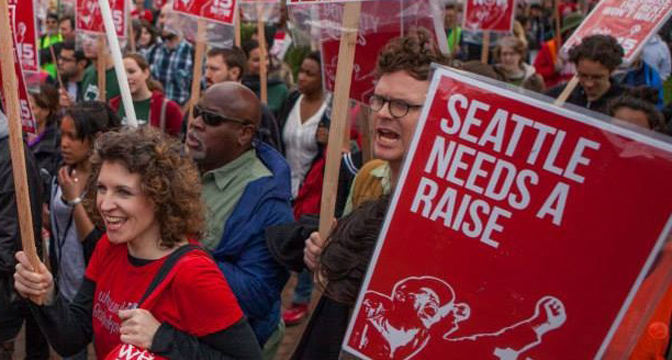 The Seattle City Council held a public forum on the $15/hour minimum wage on May 13. Many speakers stressed the importance of corporate loophole-free legislation, but Mayor Murray just introduced training wages into his legislation which would allow employers to pay a sub-minimum wage for new workers, young workers, and workers with mental or physical disabilities. With these discriminatory, unjust amendments, it is more important than ever that we fight for dignity and respect for ALL workers. 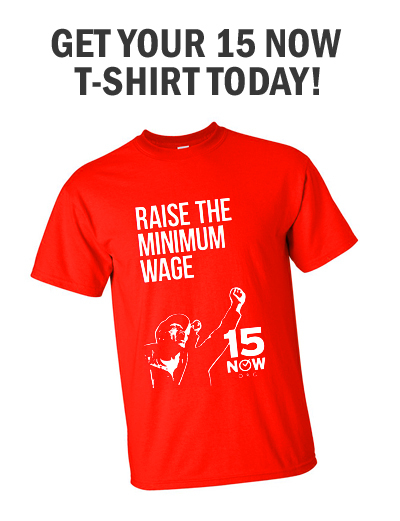 In this video, the 15 Now national coordinator, Jesse Lessinger, reminds the City Council that we are setting a precedent here in Seattle, and we cannot allow for tip penalties, health care credits, training wages, or other loopholes that push low-income workers further into poverty with sub-minimum wages. Join our signature gathering campaign. You can pick up supplies from the 15 Now office at 1265 S Main St. or print off petitions from your home or office here.